I tend to think, on many fronts, California kind of has its act together (except that whole equality issue that somehow voters screwed up)…but now I see that there is a TON of room for improvement on the wildlife front as well. In California, each year, over 2,000 bears are hunted–legally, so I’m OK with admitting that people who are experts have decided that is appropriate–BUT, what I’m not OK with, is the number that are ILLEGALLY hunted and poached. (In the US and Canada, annual black bear hunt numbers are between 40,000 and 50,000–still within the legal limits–many many more are poached). Shockingly, in California it is still legal to hunt bears with packs of dogs–and there ain’t nothing humane or appropriate about that. 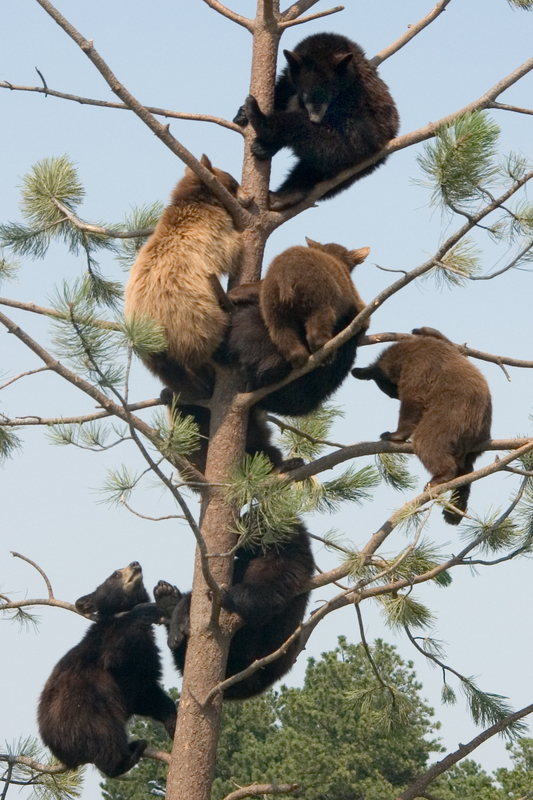 California’s Department of Fish and Game has proposed new legislation to eliminate caps on bear hunting, so every single bear could be a target in the Golden State–and I’m sorry, but our pic-i-nic baskets just aren’t important enough to allow that. We continue to build and expand our blight into natural habitats, and then wonder why nature won’t just crawl away. Huge California housing tracts are abandoned to foreclosure, but still we clear cut and build and fractionalize ecosystems that once supported healthy populations of a balanced range of species. I get it that there are problem encounters with bears–I don’t get it that the solution is to somehow fool ourselves into thinking we should blast them all out of nature. How arrogant, and truly uncontrolled we are becoming. Big Wildlife is focused on assuring the long-term viability of top carnivore wildlife in the West (bears, wolves, cougars, coyotes, etc), and is spearheading a movement encouraging public comment from California voters about this bear issue–but you need to act fast. Hearings were held yesterday, and the deadline for public comment is Saturday, March 13. Here is a link to an action alert page with sample letters to send to the commission and your representatives. This is, truly, a crime against nature we’re talking about–and something we definitely do not, can not, be complicit in.